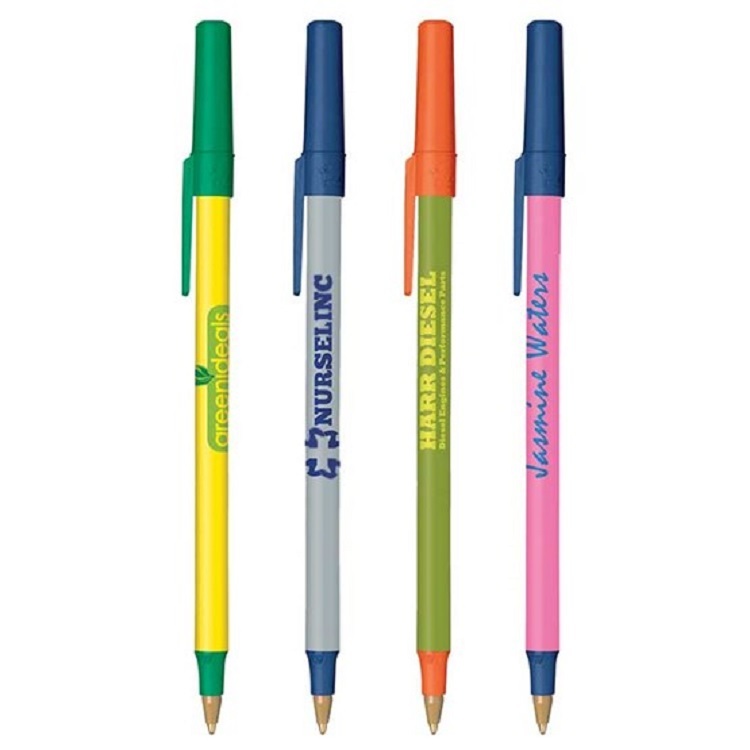 Comfortable, textured rubber grip, fast-drying ink, two-piece roller with nickel-plated clip. Colors Available: Roller Ball Ink Colors: Blue Pen Ink, Black Pen Ink. Pen Color: Charcoal, Forest Green, White, Light Gray, Blue, Red, Black, Navy, Burgundy.